Journalism and Yearbook students place in top ten at regional and state write-off competitions. The DBHS Bull’s Eye won first place newspaper sweepstakes at regionals. Packing their pencils, shouldering their backpacks and grabbing some paper, 30 Diamond Bar High School students attended the regional write-offs, where the Bull’s Eye took home first place in newspaper sweepstakes. They also placed third in novice news sweepstakes and fourth in super sweepstakes. 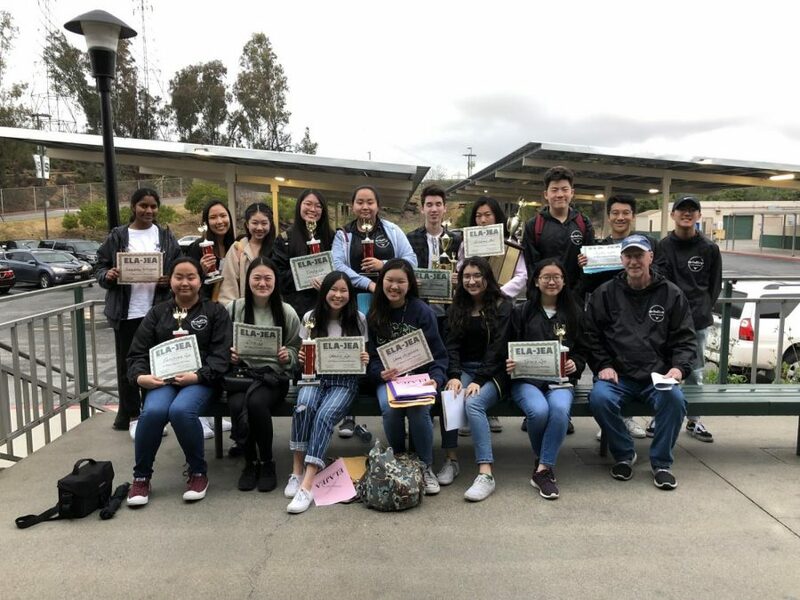 Hosted by the Eastern Los Angeles Journalism Education Association, this year’s write-offs took place at Schurr High School in Montebello on March 2 with eight schools competing. 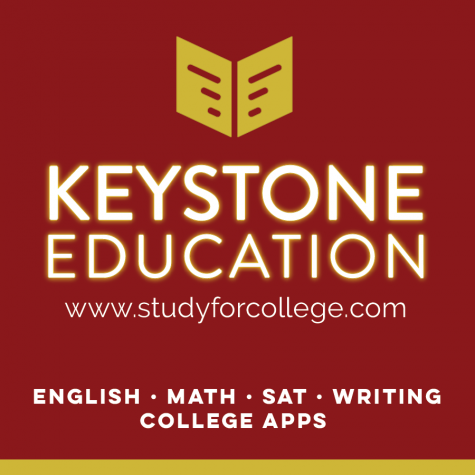 On March 16, a smaller group of students went to Long Beach Community College to continue competing in the state write-offs, where they placed second in newspaper sweepstakes and earned second place for its website. On March 2, Seniors Cindy Liu and Christina Liu placed first in feature and sports, respectively. Junior Grace Lee and senior Erin Li placed third and 10th in feature while junior Ryan Lam placed fifth in sports. Meanwhile, in critical review, senior Amelie Lee placed second and senior Amy Miyahara placed fifth. In news, junior Elizabeth Peng placed third, and in editorial, Ted Yarmoski placed 10th. For photo feature, senior Samyuktha Vellaiyan placed fourth. In novice news, junior Kate Zheng placed sixth and sophomore Ryan Chan placed 12th. In addition to the journalism students, one yearbook team, with seniors Megan Ly and Priscilla Franchino and juniors Fiona Huang and Angela Medina, placed second in yearbook copy. The other team, which was comprised of seniors Sunny Yang and Karen Zheng and juniors Ethan Chavarin and Shiva Dang, finished fourth in layout and fifth in copy. On March 16, competing against about 20 other schools, the Brahmas also managed to do well, but none managed to get the first place position. In news, Peng placed second, and Vellaiyan placed third in sports photography. Yarmoski placed fourth in editorial while Cindy Liu placed sixth in features and Lee earned a sixth in critical review. In the sports category, Christina Liu placed 10th. In novice news, Kate Zheng received an excellent. In the Yearbook competition, the two person team of Karen Zheng and Shiva Dang finished 6th in theme and 9th in copy while the team of Ly and Chavarin earned a sixth in layout.